As I sorted through lead “news”, I half-heartedly click on a MSN article entitled “52 Ways to Cut Fat in 2012“. Imagine my excitement as I realized I am closer than I thought to the foolish aspirations of my youth of being “SuperModel Thin”! Could this be the year I actually obtain the outrageous goal I hastily set late New Year’s Eve because the countdown has begun and I feel compelled to torture myself? What is so encouraging is that most of these fat-burning suggestions I have already adapted into daily life. Envision the results if I could only focus; utilizing these tips all at once to transform me into that impossibly perfect, unhealthy, air-brushed image we’ve been brainwashed to believe is obtainable. Goodbye to shlepping around town; I will be the cool, fashionable mom. Snack on almonds: High in MUFA’s (and yummy in Hershey bars). lol, thanks for the healthy eating tips, my moms always on me about eating healthier!!! Use the tips, not my examples!!!! (I guess I’m more the example of what not to do.) Thanks for stopping by…. That picture freaks me out! How can anyone use a model like that to sell ANYTHING? the sad thing – I had more than one to choose from…. Given that your comment seems to be the norm; how DID the fashion industry decide on employing these models….hmmm…. an investigative blog idea…. Some good info here but funny too! please tell me someone force-fed her a hamburger…. 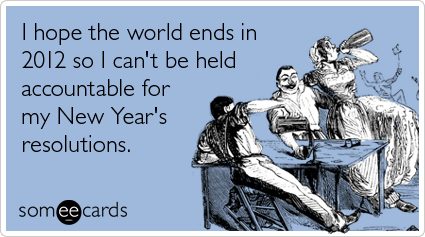 Good point, I was just thinking “major intervention needed”….Happy New Year! Thanks, I try my best! So Canadian pigs have less fat than American pigs, one would think all pigs were of the well endowed persuasion. Perhaps by this reasoning we should all be eating Japanese pigs…not reared by sumos of course. You go right ahead -those are two of my fav.s as well! Thanks for stopping by! Looking for groupies. Enter email address - follow this blog and receive notifications of new posts. I know how Amelia Earhart Feels…. This blog and it's contents have been copyrighted. I'm not sure why anyone would want to steal it's contents, but I was advised to do so. Apparently there are some not so nice, unscrupulous people out there looking to plegiarize stories about my insanity. Bad form.